I made this for the first time tonight & it was so tender & tasty. I used a frozen package of Trader Joe’s hatch chili purée instead of tomatillo sauce & added chopped onions, garlic, chipotle chili pepper flakes & cumin. I left some of the seeds on the jalapeños and boy, was it spicy but so good! I served it with the carrot salad that you recommended. Perfect combo! Thank you Gina! Is there a link for the crockpot directions? I am also tripling this recipe for guests so what would you think for serving per person then? Just wondering how many drumsticks per serving? 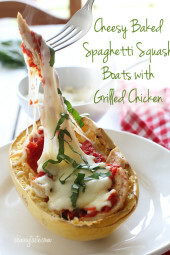 I made these for dinner last night and I really enjoyed them! I used a mild pre-made tomatillo salsa and that worked wonderfully. Going to try this one soon. Looks really good. Like a couple of other people, will substitute for drumsticks and will leave out the jalapeno due to gum sensitivity. I don’t like chicken drumsticks so I used chicken breast in the instant pot and shredded it after cooking and served over rice. It was delicious and took no time at all. I used it as lunch for the entire week and it always tasted delicious. I will say that it did not smell good, it probably was the vinegar but it tastes much better than it smells! 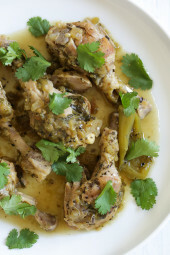 I have a question about marinating the chicken. You say to season with salt, pepper, oregano and vinegar and to let marinate. How do you marinate that much chicken in only 1 tbsp of vinegar? Also, how to I season that much chicken with that little vinegar? Made this in the Instant Pot tonight. Fantastic! My 5 year old said, “This chicken is to die for!” 🙂 I did not have time to marinate the chicken beforehand, so I worried that it wouldn’t be too flavorful, but it was delicious! Served it over white rice with a side of sautéed spinach. Oh goodness this was good!!!! I put it all in the crockpot on Sunday and let it sot overnight. Cooked it on low for 6 hours monday and it was SO TASTY. Seriously the easiest and yummiest meal. Made this recipe over the weekend and forgot to review! Another great one… followed recipe exactly as printed; except for before putting the drumsticks in the crockpot – I seared them for a few minutes. Really easy – nice flavors. The chicken fell off the bone and was delicious and moist. Will definitely make again! is this a cook and then freeze recipe? Greetings and thanks for the recipe! 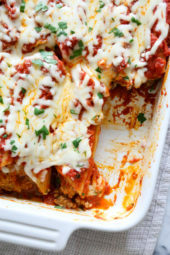 It looks absolutely fantastic.. i was wondering, like another person commented on before, how would you double this recipe? Would you double everything and just add more cooking time? Thanks in advance, im glad i found your blog with all these great recipes! I think the cook time would stay the same. I make a dish similar to yours. I use the crock pot. I use 2 chicken breasts with bone ( cut up 3 pcs each ). This time I used 5-6 chicken thighs with bone ( cut in two each piece ). In crock pot, add 1 chop onion, 5 minced garlic, dried oregano, cumin, chili powder , salt, 16 oz bottle La Victoria or Herdez Green Sauce to crock pot. Then add raw chicken. Stir. Cook high 4-4 1/2 hrs. After 2 1/2 hrs, I add 4 zucchini ( cut in half lenghtwise, slice ) taste … cook 1 1/2 hr more .. I served it with Mexican Cauliflower- Rice ( your recipe ) and green salad. So tasty … and easy. Made this tonight…turned out great…couldn’t find jarred tomatillo so we used salsa verde like another posting. Only suggestion would be to add a roux so it thickens the sauce…a little too watery for us but flavors were great. We also used a little less tha half a Jalepeno so it was kid friendly. 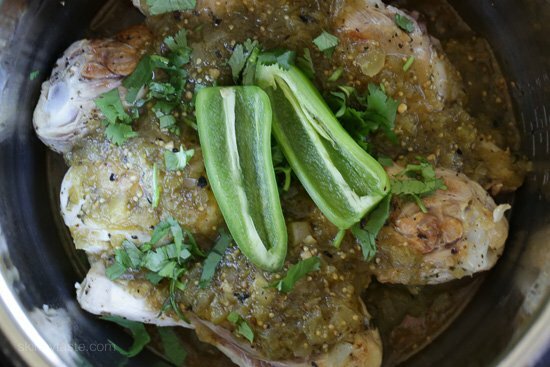 Is the Frontera jarred tomatillo sauce pretty spicy? If so, does anyone have any other recs to try? I love spicy food but my daughter can only tolerate a tiny bit of spice. Can you substitute chicken thighs? How will that change cooking time? When you say Cider Vinegar, do you mean apple cider vinegar? This dish was super delish! My little ones loved it and even asked for seconds ???? I made this recipe using boneless chicken thighs on the stovetop. Once cooked, I poured the chicken thighs over a rice w/ corn bed. The chicken was so tender, juicy, and spicy. Definitely will be making this again. Thank you for this awesome recipe, Gina! I would like to bring this to a crowd (cooked in a crockpot) and I would need to triple it. Any suggestions or should I just triple everything? What about length of cooking time? Do you brown the chicken before putting it in the crockpot? You can but not mandatory. Could I use fresh tomatillas instead? Absolutely loved this recipe!! Couldn’t find jarred tomatillo sauce so I substituted it with Salsa Verde and doubled the recipe using a crock pot. It was so good! I’m using the leftover chicken for chicken enchiladas. Hi Gina! Making this tonight and its smelling amazing. I just wanted to double check the nutrition info….your recipes with drumsticks are usually for two-drumstick servings. Is this one 161 cal for one drumstick? Thanks! Made this in the crockpot then served over rice. SO GOOD! Gina you’ve done it again! This is incredible and thankfully my husband had a late lunch because there wasn’t enough left for him once the kids and I were done! Would you keep the cooking time the same if adding in a couple of breasts with the drumsticks? Great! Yes, should be fine! Question? Is the nutritional information per drumstick or is it the entire meal? Ex,Calories per drumstick is 161? Do I need to brown the drumsticks prior to putting the in the crockpot? Made these last night……………….so so so so good! We made this for dinner last night (stovetop), and it was delicious. We made the carrot salad as well, which was incredibly flavorful and bright; so good, We left out the cilantro as I just don’t care for it, and it did not taste as though the dish was missing anything. Thanks for another winner! This recipe was so easy and so yummy! Great change in flavors! 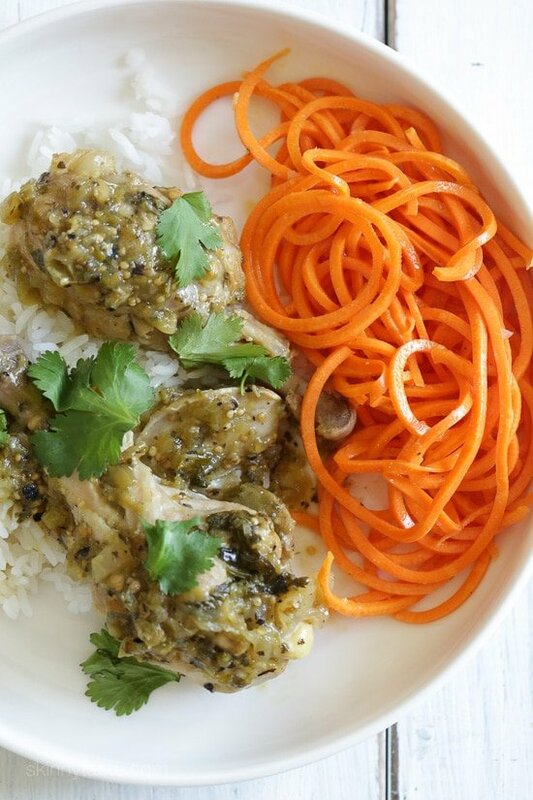 I made this recipe (stovetop version) for dinner tonight and it was super tasty and EASY! I served it with a side salad and Spanish rice. Is it bad that I’m already excited for lunch tomorrow so I can eat it again?! Thanks for another yummy recipe, Gina!! I’ve been following you for a couple years and your recipes are always the best. Making this as is today, but am curious about using regular salsa too- anybody tried it? Well you win some you lose some didn’t care for this one but Gina I love the site. Can’t win them all, thank you for your honesty though! My boyfriend made this last night (stovetop) and it was AMAZING! Will definitely make again. Thank you so much! How much water did you add? All it says is a little. I love your recipes! I have a question about the serving size. Previous recipes using drumsticks are two drumsticks per serving, were the ones used in the recipe a larger size? Just curious I guess. Keep up the wonderful work! Can you please share a link to the Instant Pot you use? I have the old fashioned pressure cooker and it is practically brand new because I am too scared to use it. Thank you and thank you for all your wonderful recipes and the time and effort you put into it. Thanks , Gina for adding Instant Pot instructions! This sounds delicious, but jarred salsa verde has too much sodium. Would love a good recipe. Check Bobby Flay or Rick Bayless. Both have good tomatillo salsas. Thank you for the Instant Pot recipes! I love mine and have adapted many of your recipes to the IP. This looks great, I’ll definitely try it this week. What would the time be for boneless chicken breasts? Do you use the quick or slow release method to release the cooking pressure? It doesn’t specify. Thanks! Sounds Delicious ???? I just made it and compromised with the release method. I let it naturally release for about 5 minutes and then quick released it. SO GOOD!!!!! I used Trader Joe’s Green Dragon Hot Sauce (tomatillo based), and it was pretty spicy…how husband and I like it! DEFINITELY on the menu rotation! Do you suggest any other herb than cilantro? I love it but my son cannot stand the taste of it. This looks absolutely amazing!! 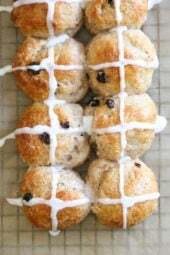 i love your recipes, they are all so quick and easy! Can you use boneless chicken too, or is the bone-in recommended? Have you used chicken breast?